Thank you for your order with HostGator.com! In order for us to setup your account, we will need you to call us and verify your account. If you are unable to call us, you can also respond to this ticket with a scanned copy of a Photo ID such as a passport, or drivers license. 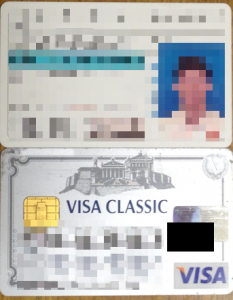 In addition to a photo ID, please include a scanned copy of the credit card that was used in your account purchase (assuming you purchased a hosting account with a credit card). For security purposes you can mask off all the digits of the card number except for the last 4 digits. Please provide us with the above requested information at your earliest convenience to ensure that your account with HostGator is setup as soon as possible. We apologize for any inconveniences that may result from this process. This extra verification is done for your security and is done to ensure that your order is not fraudulent. The web hosting industry unfortunately has a high rate of fraudulent orders and this sort of verification helps us drastically reduce fraud and help ensure our customers remain secure. If you have any questions, comments, or concerns, please don’t hesitate to contact us. I’ve attached a driver’s license and my credit card.Is my website violate terms of service? I will correct it if my website violates.